An eclectic mix of regional visual artists will be exhibiting their respective art forms at this year's Deep Roots Mountain Revival on July 20-22nd. 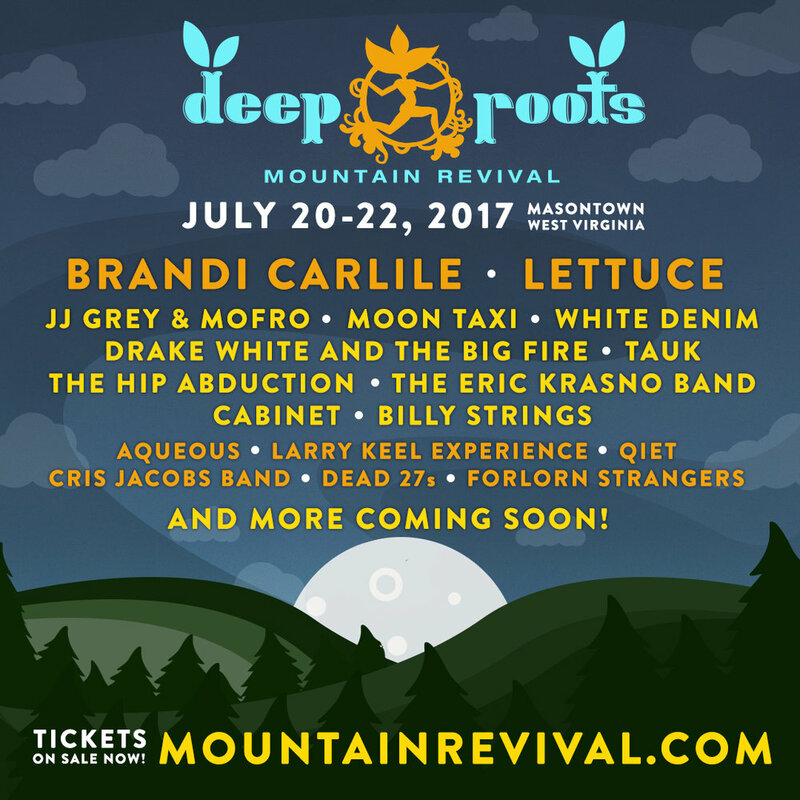 Deep Roots Mountain Revival has announced that it will honor all tickets that were sold to the now cancelled Karoondinha Music & Arts Festival. 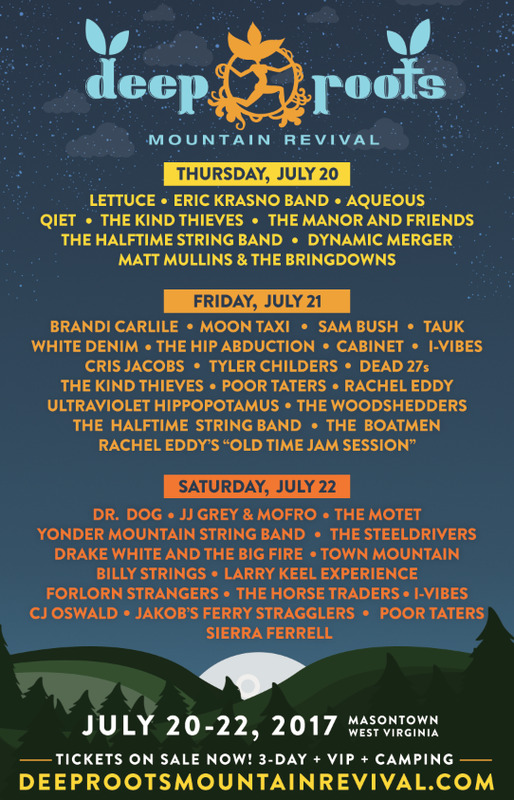 Anyone that purchased weekend passes will be able to attend the three-day Masontown, WV festival featuring Brandi Carlile, Dr. Dog, Lettuce, JJ Grey & Morfro, Moon Taxi, Sam Bush, Yonder Mountain String Band, White Denim and more. Day pass ticket holders may choose to attend either Friday or Saturday. Deep Roots Mountain Revival is proud to announce a full schedule of community-building and family-friendly activities for its second annual music and camping festival. Adults are encouraged to participate in relaxing and healing activities such as meditation, reiki, yoga, and hula hooping, or attend a fiddle, clawhammer, or flat-picking workshop for an educational experience. Children may engage their creativity in tie dye making, hula-hoop building, and masquerade creation, or unwind participating in activities such as yoga and singing meditation. Start planning your musical mountaintop weekend by heading over to deeprootsmountainrevival.com for the full schedule of activities, workshops, and just released Artist By Day grid.